New Mexico has hundreds of species of spiders within its borders. The southwestern state is home to many harmless spiders and a few that are considered dangerous, although many of their reputations have been enhanced over the years. New Mexico is home to the pillbug spider, a scary-looking spider that is quite harmless if left alone, as are all spiders. The pillbug spider is interested only in catching and eating the small pillbugs that it follows around. They can be found under lumber and wood where it is moist. The cellar spider is responsible for most of the cobwebs that are in the basement and around the house. They are long-legged and pose no threat. A spider found throughout New Mexico and the rest of the U.S. is the funnel-weaver, which hangs out in garages, yards, fences and other spots. These spiders construct a flat web with a funnel shaped "house" on one end. Once prey makes it way into the web, the funnel-weaver comes out and attacks. They are most active during the nighttime hours. Most New Mexican spiders are skilled hunters. The wolf spider is one such species. They can grow to be very large, and they feast on flies and crickets. Several species of ground spiders houses in search of a meal. Flies are the main food source of jumping spiders, which live on porches and the sides of houses. All of these species, as well as many more, are beneficial in that they help enormously in keeping the insect population under control. Tarantulas are a common sight in New Mexico; it's not unusual to see them crossing the road. They are large and hairy spiders, but they do not possess a deadly bite as many people believe. They can surely inflict a painful bite if disturbed, but their venom is not powerful enough to kill a human being. Allergic reactions to tarantula bites do occur, and it is not wise to mess with one. They do not like to be startled, and some species found in New Mexico are more aggressive than others. Brown recluse spiders are found in New Mexico, and great care should be taken to avoid them. They are shy and retiring and will normally bite only if they somehow wind up in your clothes and are pressed against your skin. They possess venom that can produce dangerous symptoms and are sometimes even fatal, mostly in small children. The black widow is also a resident of New Mexico, and there are probably more of them than there are people. 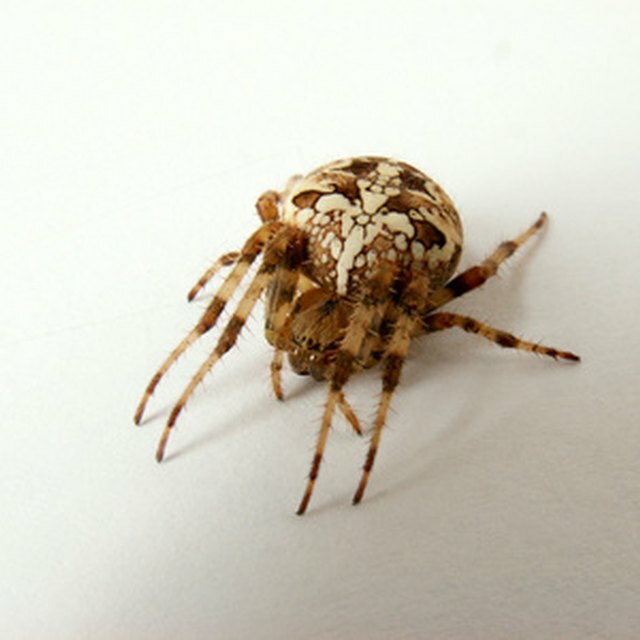 They have a worldwide distribution, and their venom is very toxic; this means that they are the number one cause of death from spider bites in the world. However, they do not have the capability of injecting large amounts of the venom, and even though the bite is painful and unpleasant, fewer than 5 percent of those bitten by one will actually die. Lindell, John. "Spiders Found in New Mexico." Sciencing, https://sciencing.com/spiders-found-new-mexico-4597899.html. 24 April 2017.